I come from a long line of Christmas cookie makers. Like my mother and grandmother before me, the holidays awakens an urge in me to bake – I am talking dozens and dozens of cookies. December inevitably turns into a cookie avalanche around here. Luckily, cookies make great gifts. I give them to the neighbors and mail them out to friends and family in care packages. I also try and stash as many away in the freezer as possible so that I can serve them on Christmas day and New Year’s Day. These Key Lime Snowball Cookies, however, never made it that far. Don’t get me wrong – I made plenty of these snowballs. This recipe, in fact, makes about 4 dozen. They were so delicious, though, that they were devoured before I could hide any away for gifts or for the freezer. 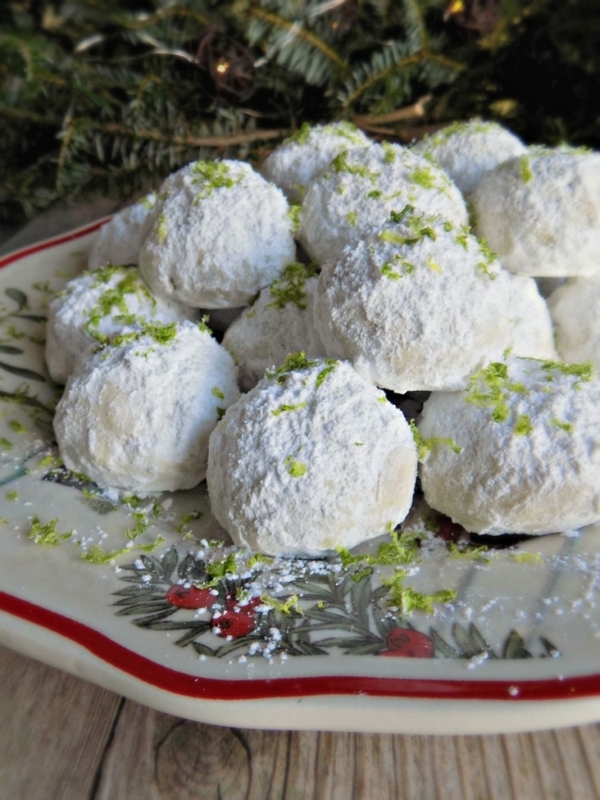 I mean, regular snowball cookies are melt-in-your-mouth delicious anyway, but with a hint of lime, they are irresistible (and in our house, I mean that literally). Now, I did use actual key lime in this recipe, but regular Persian limes will do the job just fine. If you can pick a sack of key limes at the grocery store, or if you are lucky enough to have a key lime tree in your backyard, that’s great. If you can’t find key limes or don’t want to go through the trouble of tracking them down, just use regular limes. And bottled lime juice just won’t work here because we’re using the zest, not the juice. Let’s not waste that lovely lime juice, though. Go ahead and juice those limes and then refrigerate or freeze the juice for another use. Lime juice is amazing in marinades, salad dressing, cheesecake, chili and so much more. 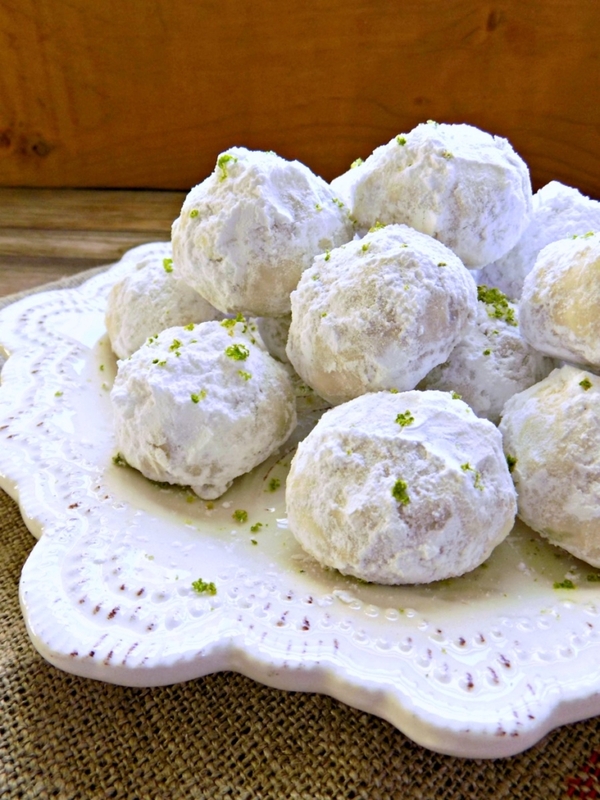 So if you’d like to give a little tropical flavor to your holiday baking, try these Key Lime Snowball Cookies. They will surely bring a little extra cheer to any holiday gathering. In a dry skillet, lightly toast pecans on the stove top over medium heat for 2-3 minutes. Be sure not to burn them. Set aside to cool. In a mixing bowl, cream butter and sugar together until light and fluffy. Mix in vanilla and lime zest. Mix in the pecans and flour until well-combined. Scoop dough into 1 1/2-inch balls, and place 1 inch apart on ungreased cookie sheet. Bake for 16-17 minutes, or until they lightly browned on the bottom of the cookie. 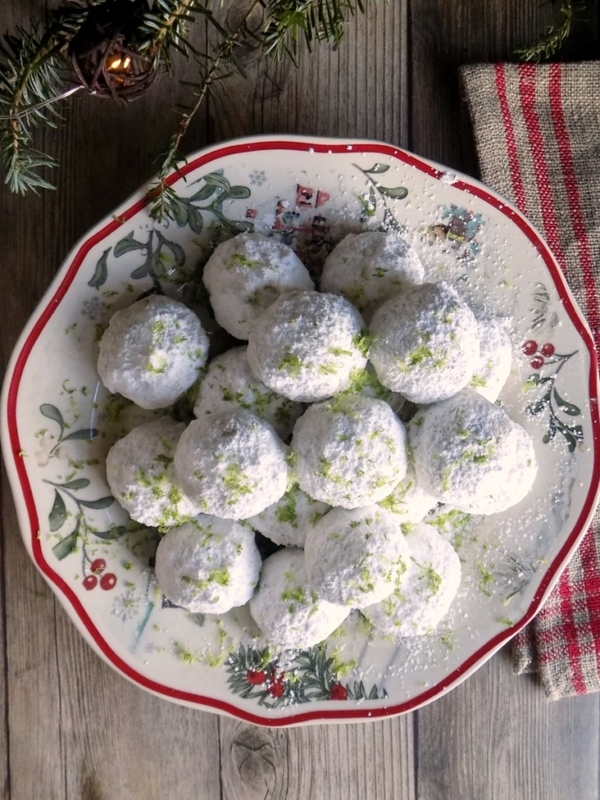 While cookies are still warm, roll them in the powdered sugar and set aside to fully cool. When cookies are completely cool, roll again in powdered sugar. Dust with extra powdered sugar and lime zest before serving. Store in airtight container, or freeze. 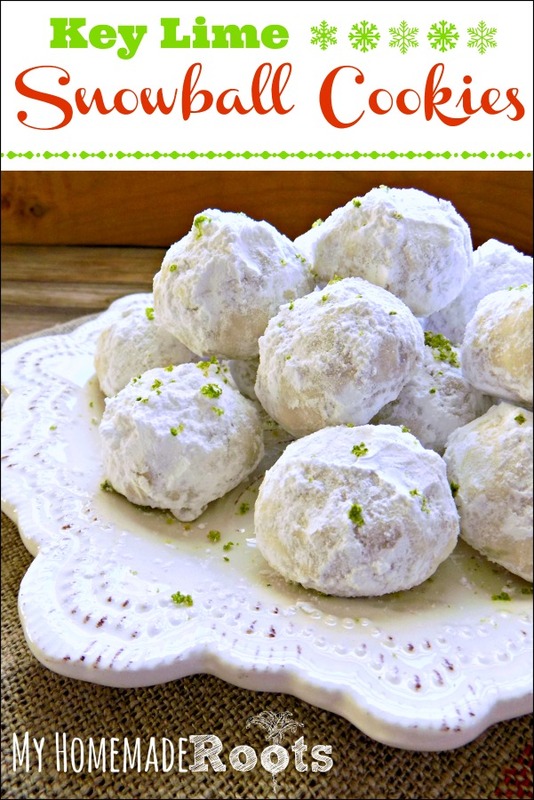 I love the lime flavor for your awesome snowball cookies! Hope you are enjoying your week and thanks so much for sharing with us at Full Plate Thursday! I haven’t tried making it without nuts, but I think it would work. 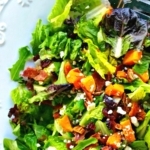 You could also try substituting sweetened coconut flakes for the nuts. If you try it without nuts, please let me know how it turns out! Can you use walnuts in place of pecans? Yes, I think that would work just fine. If you try it, please let me know how they turn out. Thanks. for the snowball cookie recipe. I liked the lime taste and I did use walnuts. It turned out fine. I’am used to using walnuts in many of my recipes. I had a. Hungry crew to feed and the cookies didn’t last long at all. My guests had no idea what they were. Nevertheless, they were worth making. I guess, I’ll have. To make them more often. I will try coconut instead of walnuts next time. Thanks again and have a great weekend. I’m glad you liked them. I think coconut would go very well with the lime. Please check your directions carefully for typos. My sister was going crazy trying to figure it out. I made an assumptions but I would like to know if I was correct. Thanks!! I checked my directions and I don’t see any typos. Can you please tell me what you think is a typo so I can fix it? Thanks! I think I found the typo and went ahead and corrected it. Thanks for letting me know!